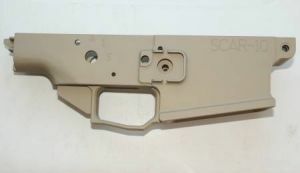 NEW 7.62X39 RUSSIAN CONVERSION KIT FOR THE SCAR 16S. ALL THE PARTS NEEDED FOR CONVERTING YOUR 5.56 SCAR 16 TO THE STRONGER 7.62X39 RUSSIAN (AK47) CALIBER. 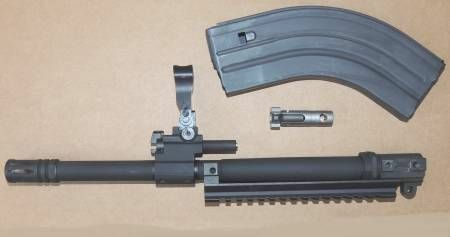 KIT INCLUDES A 16" 7.62X39 BARREL ASSEMBLY WITH LOWER RAIL AND FRONT SIGHT PICATINNY RAIL, A 7.62X39 BOLT ASSEMBLY, A HDD RECOIL BUFFER AND A 30RND AR762X39 MAGAZINE. FN FOLDING FRONT SIGHT ASSEMBLY CAN BE SELECTED IN OPTIONS BOX. THESE KITS CAN BE ORDERED.